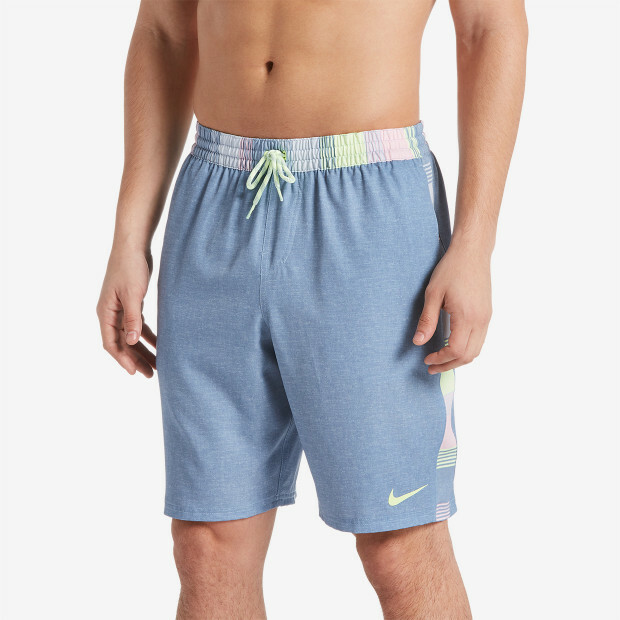 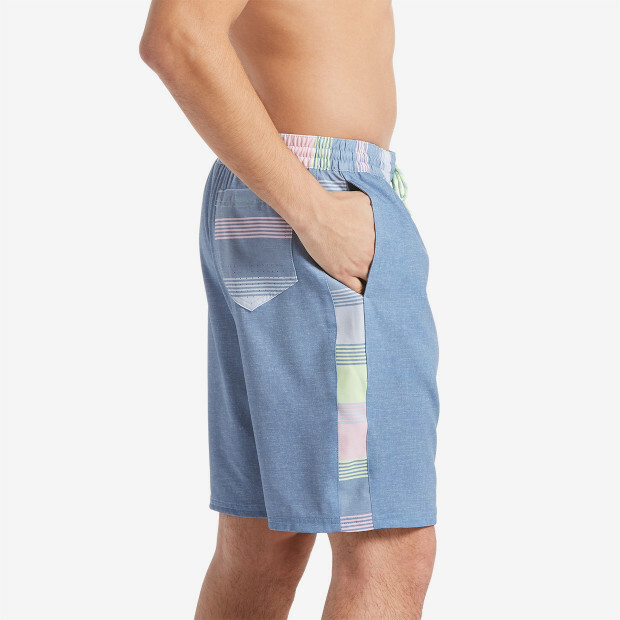 Nike Swim Men's 6:1 Linen Splice Racer 9" Trunk is a fast-drying swimming trunk with the look of striped linen and a shorter inseam. 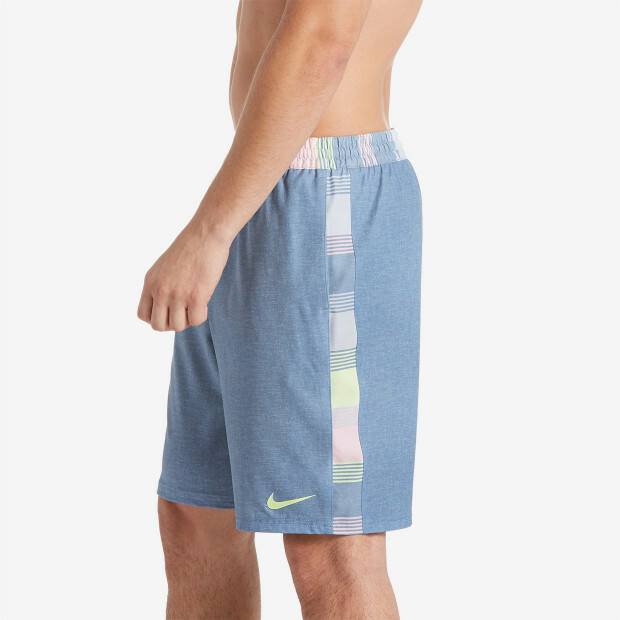 It has Nike Repel water-repellent fabric with mesh drainage points to give you versatile water-to-land styling. 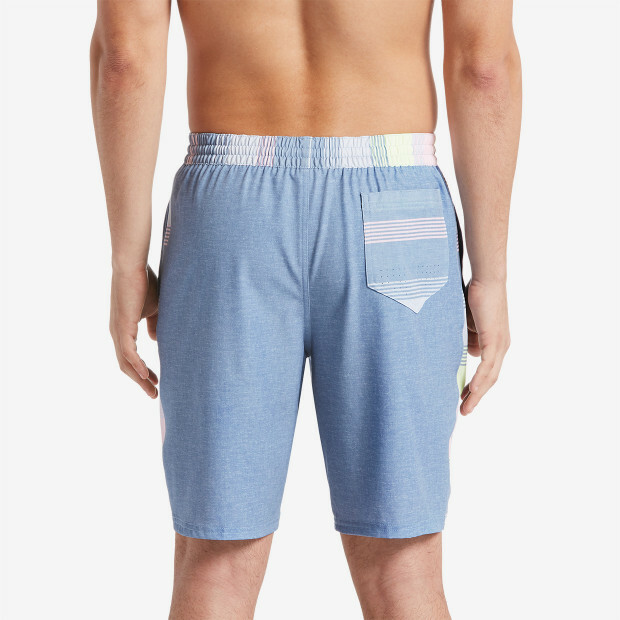 Its stretch waist and built-in support brief offer an excellent fit.